We offer our short sided pull out shelves in a standard and a premium version. These are by far our best selling pull out shelves. 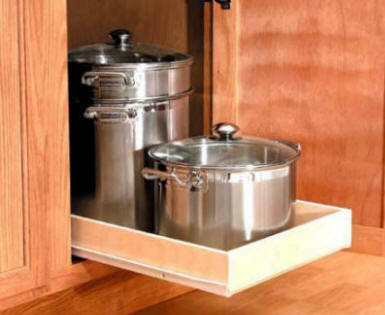 They work great for pantry cabinet as well as for easy access to your pots and pans in you lower base cabinets. Available for clear cabinet openings from 4" to 38"